SafeRide Transport is known for our safe and reliable transportation services throughout Southern California including San Diego and SeaWorld San Diego. We offer car services from San Diego International (SAN) or hotels in San Diego to SeaWorld and more. Reserve a SeaWorld car service today! SeaWorld San Diego is one of the most visited theme parks in the world as well as oceanarium and aquarium. Founded in 1964, SeaWorld also has park location in Orlando and San Antonio. SeaWorld’s main attraction remains their killer whales, but also includes the Bayside Skyride gondola ride, Journey to Atlantis water coaster, river rapids ride, Dolphin Point, aquariums, marine mammals, and more. Book your next ride to SeaWorld with us! Saferide Transport offers a selection of vehicles to SeaWorld including elegant limousines, luxury black cars, SUVs, and shuttle vans! Pick the vehicle that is right for you. Plus with SafeRide you can get baby seats to SeaWorld San Diego for the littlest of travelers. 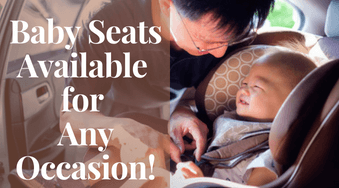 We know how difficult traveling can be with young ones and our child safety seats to amusement parks makes for one less thing you need to worry about. If you’re headed from Los Angeles, SafeRide can also provide transportation for Los Angeles to San Diego. Perfect for tourists visiting Southern California! Reserve your SeaWorld San Diego car service today.